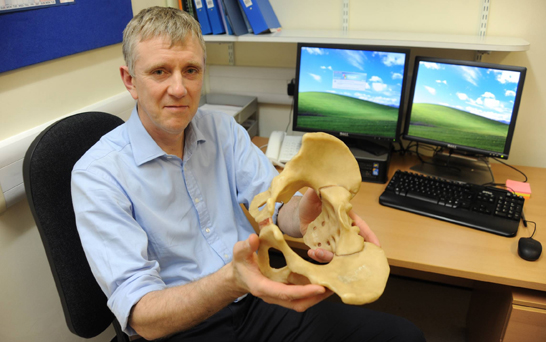 Using 3D printing technology Consultant Orthopaedic Surgeon at Newcastle upon Tyne Hospitals NHS Foundation Trust, Craig Gerrand helped patient who lost half of his pelvis to bone cancer walk again. The 60 year old male patient was diagnosed with a rare bone tumor known as chondrosarcoma. This form of cancer, which affected virtually the entire right hand side of the patients pelvis, does not respond to drugs or radiotherapy leaving the only option to surgically remove the affected area. With so much bone affected there would be nothing left to which a standard hand made implant could be attached leading to Craig Gerrand offering his patient an extraordinary reconstructive innovation; to 3D print an custom made implant in titanium which would be designed to form a perfect fit into the space left by the surgery. The implant then covered in a mineral into which the remaining bone cells could grow. Speaking on the surgery Gerrand stated that the patient was aware of the risks including the implant not fitting properly or fracturing before opting in to the surgery. 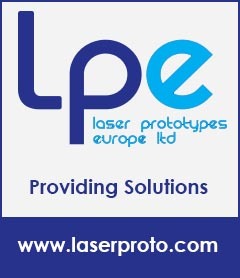 Meticulous planning was required to provide the greatest chance of success. CT and MRI scans of the pelvis were fused to calculate precise dimensions for the space to remain and the quantity of bone to be removed. Using this data it was possible to produce a bespoke 3D printed model of the half pelvis, which provided an exact dimensional match to the bone lost by the patient. Following the creation of the implant surgery proceeded with Gerrand utilising surgical navigation technology to ensure the bone was cut exactly where planned. Once the bone was removed the titanium implant was fitted, followed by a standard hip replacement which fitted seamlessly into the titanium socket. Just over three years on the patient is able to walk with the aid of a stick and is still very happy with his 3D printed implant.